This page shows the latest hereditary angioedema news and features for those working in and with pharma, biotech and healthcare. Approval shortly follows a green light in the US. 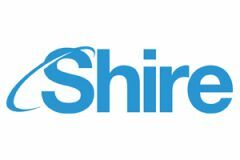 Shire has been granted approval by the EMA for rare disease drug Takhzyro, a blockbuster-in-waiting for the rare disease hereditary ... angioedema (HAE). The first test of this will be Shire’s new blockbuster-in-waiting Takhzyro, which gained EMA approval in November, for the rare disease hereditary angioedema (HAE). 151. Valeant (US). Pharming (NL). Asset acquisition North America. Ruconest (recombinant human C1 esterase inhibitor) for treatment of acute Hereditary Angioedema with sales of $25m. Annapurna brings a portfolio of four AAV-based gene therapy programmes at the preclinical stage for alpha-1 antitrypsin deficiency, hereditary angioedema, cardiomyopathy associated with Friedreich's ataxia and severe allergy. hereditary angioedema (HAE). ... US. Abbreviations: HAE, Hereditary angioedema. 14th December 2015. Mayer joined the biotech back in 2012 and has been responsible for global clinical development across immunology, hereditary angioedema, haematology, ophthalmology, oncology and neuroscience to name a few. The ‘Faces of HAE’ campaign raised awareness of hereditary angioedema (HAE); a rare, inherited disease thought to affect just 1, 500 people in the UK. Three exceptionally powerful visuals to launch Kalbitor - a prescription medicine used to treat sudden attacks of hereditary angioedema – created by Taylor James, with agency GSW.